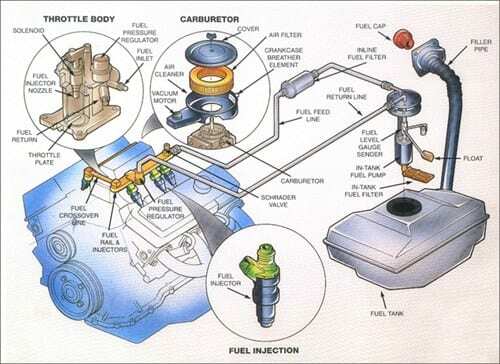 Fuel control can be divided into two elements: First, through a variety of electrically driven components, the hydraulic function of the system ensures that clean pressurized fuel is available at the injectors. The second element, fuel control, is accomplished by monitoring INPUT signals from sensors reflecting vehicle and engine operating conditions and driver demands. From this information the computer uses it program to compute how long to hold each injector open. This OUPUT is referred to as pulse width. The resulting combustion byproducts are monitored by the oxygen sensor. Using this INPUT as a correction, pulse width is recomputed for the next cylinder.